I don’t know about your neck of the woods, but here in LA the cold and flu season is most definitely underway. With two young children bringing all sorts of bugs back from school, we seem to be constantly battling sore throats and sniffly noses. It has taken me 37 years, but I have finally come to terms with the fact that there are no real ‘remedies’ for a cold. We just have to ride them out. However, that doesn’t stop me from boosting my family’s immune systems to keep sickness at bay. And I’m always ready with a natural concoction to help relieve the symptoms when it does strike. 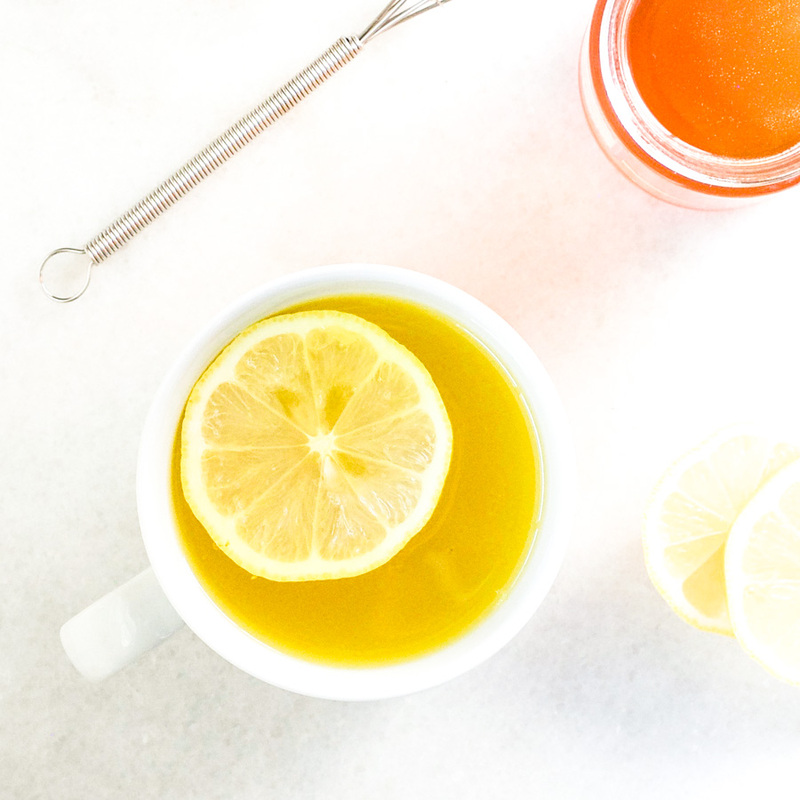 This honey lemon ginger tea with turmeric helps me on both those fronts. So what do the scientific studies say about the ingredients in this deliciously warming and soothing elixir? Ginger – has antioxidant, antimicrobial, and anti-inflammatory compounds that boost the immune system. 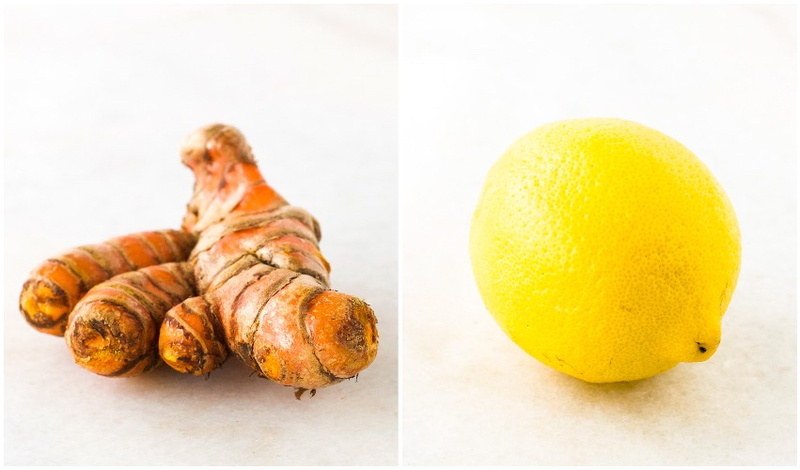 Turmeric – a powerful anti-inflammatory that is rich in antioxidants. Honey – has antimicrobial, antiviral, anti-parasitory, anti- inflammatory, antioxidant, and anti-tumor effects. Lemon – contains vitamin C, β-carotene, flavonoids, and limonoids, all with powerful antioxidant properties. 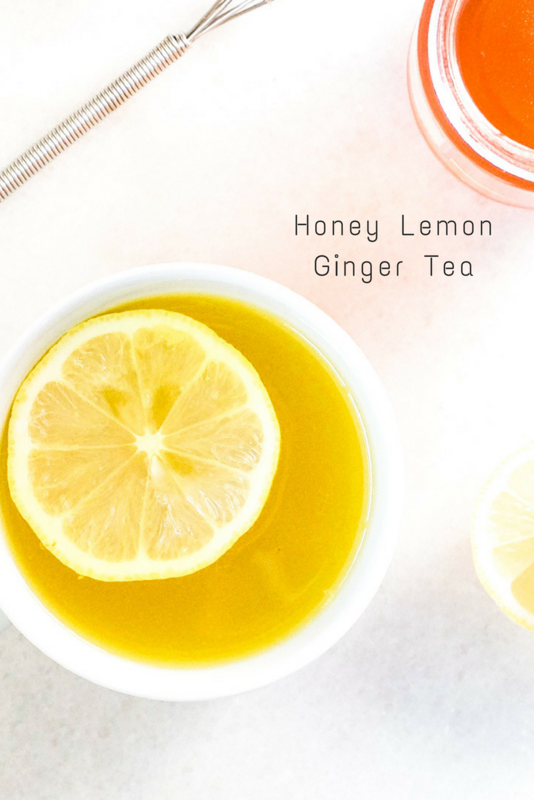 Now I’m not suggesting that the small amounts of these ingredients in this honey lemon ginger tea are going to save you from all ailments. But including this delicious drink in your diet will add powerful compounds to help boost your immune system long-term. They will also help relieve your symptoms short-term. And when you are feeling run down, this honey lemon ginger tea keeps you hydrated and tastes divine. 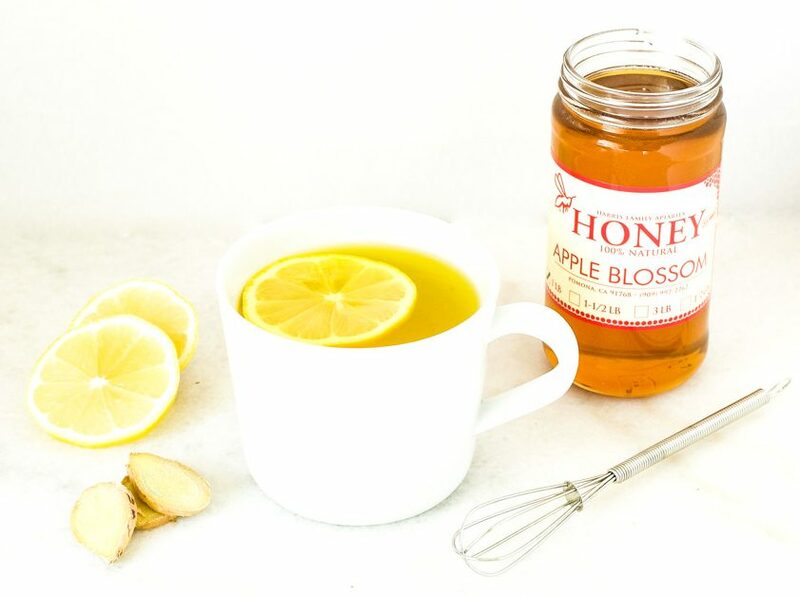 What are some of your favorite recipes for when you are feeling under the weather? Put all the ingredients in a mug and stir well. Let stand for 5 minutes to let the ingredients steep. Drink right away, or store in a jar in the fridge for up to 24 hours. To re-heat, warm in a pan on the stove, or for 60 seconds in the microwave. This tastes so good it is the only highlight of having a cold! Thank you! You’re welcome. I’m so glad you like it. I hope your cold gets better soon.